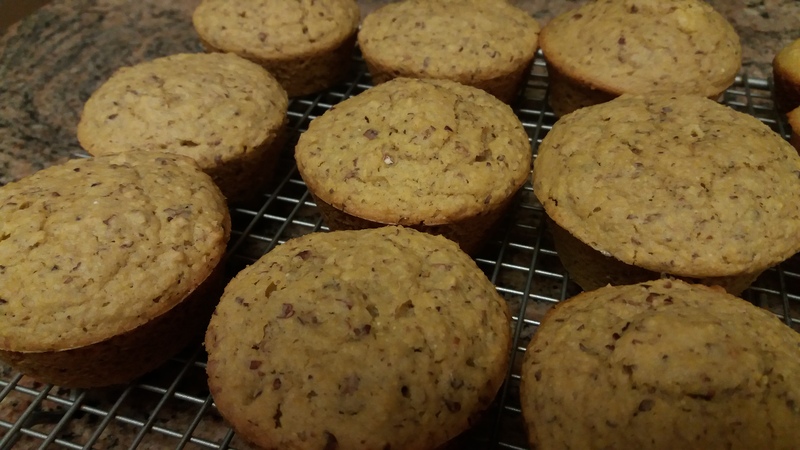 Yes, I realize I have already posted another cornbread muffin recipe but each year I discover new delicious ways to make this yummy muffin everyone loves. 1 cup flour (I love using einkron flour). Can substitute a gluten-free flour. In a bowl, mix the 2 cups of flour and making powder together. In a smaller bowl, whisk the aquafaba, milk, olive oil, maple syrup and salt together. Add the liquid to the flour while slowly stirring it together. Try not to over stir. Generously oil a muffin pan and pour the batter into each muffin cup. Bake at 375°F for 25 to 30 minutes. Insert a wooden toothpick into the muffin to check if it is done (the toothpick should come out clean). Enjoy!